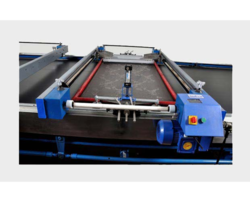 Enriched by our vast industrial experience in this business, we are involved in offering an enormous quality range of Hosiery Folding Machine (Pre Folding Machine). We are involved in offering high quality Hosiery Textile Machines. These machines are procured from reliable sources only. Our clients count on us for highly reliable, high speed, low maintenance easy to textile machines. In addition, these machines are available at market leading prices. - Embee offers equipment for Colour dispensing systems. High quality socks manufacturing machines. We also manufacture according to the customers requirements.